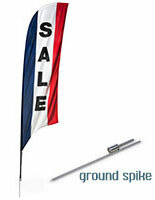 This "SALE" message flutter flag features a fillable plastic base for extra stability in windy conditions. 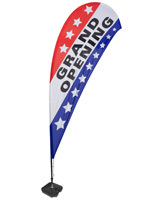 Each advertising banner features a feather or bow shape for preventing the printed fabric from curling up in the wind. 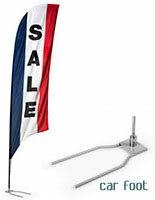 This flutter flag stand is approximately 13' high when fully assembled. 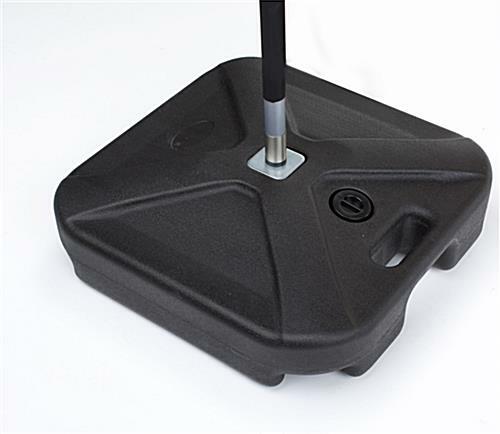 This tall stature is sure to attract attention to any business! Each swooper flag is engineered for outdoor use and inclement weather. The pennant is crafted from a polyester knot-blend which is optimal for durability and bright colors.